More than twelve years after the initial invasion, U.S. public opinion of the so-called Good War in Afghanistan appears to be souring. A clear majority of people in the U.S. say the 2001 decision to attack Afghanistan as a response to the events of September 11th was a mistake and that the current withdrawal of U.S. troops is not moving fast enough, according to an Associated Press-Gesellschaft für Konsumforschung poll (pdf) released Wednesday. "I'm glad to know the majority of Americans now acknowledge what we've been saying all along," said Suraia Sahar of Afghans United for Justice in an interview with Common Dreams. "This war continues to have disastrous consequences. I can only hope this time a lesson has been learned." Based on results from 1,367 adults with a reported margin of error of plus or minus 3.5 percentage points, the poll finds that 57 percent say the United States did the "wrong thing" by "going to war in Afghanistan." By contrast, 40 percent said the U.S. did the "right thing." Fifty-three percent said the withdrawal of troops is moving too slowly, 34 percent said the pace is good, and 10 percent said it is too fast. A slim 16 percent of respondents said they expect the situation in Afghanistan to improve over the next year, with 32 percent saying they expect it to worsen—numbers that reflect a decline in hope since the same question was asked in 2009. Six out of 10 respondents in the U.S. also said they approve of an interim deal struck with Iran in late November. The poll comes as the Obama administration pushes for ratification of a so-called Bilateral Security Agreement with Afghanistan, which would extend U.S. military presence far beyond Obama's 2014 withdrawal deadline, grant U.S. troops and contractors immunity from Afghan law, and allow U.S. troops to continue raiding Afghan homes. 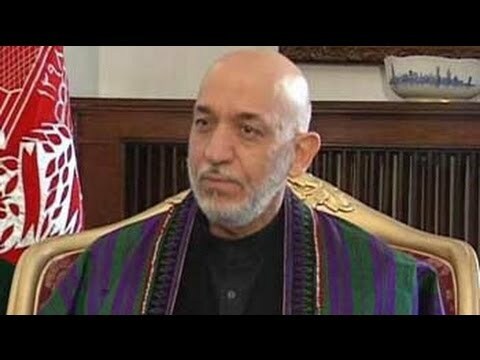 The deal is currently stalled over Afghan President Hamid Karzai's refusal to sign it, citing demands for the U.S. to repatriate Afghan Guantanamo Bay prisoners, launch peace talks with the Taliban, and stop raiding Afghan homes. "Invading Afghanistan is a national mistake that must be addressed now and into the future," said Maggie Martin of Iraq Veterans Against the War in an interview with Common Dreams. "We cannot ignore the possibility of 10 more years of occupation, the legacy of war that continues to impact the people of Afghanistan, and the lack of care and transitional support for hundreds of thousands of veterans who have served there." "American history tells us it was wrong. Afghan history tells us it was wrong," said Sahar. "The war was doomed to fail before it began, and I fear we've still learned nothing."